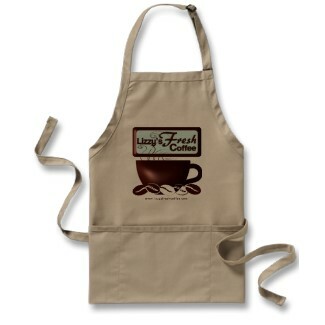 Custom Lizzy's Fresh Coffee apron for brewing your favorite coffee creations at home. The perfect barista gift with pockets for all your coffee tools. Made from a 35/65 cotton-poly twill blend, it's machine washable 24" L x 28" W. Made in the USA.